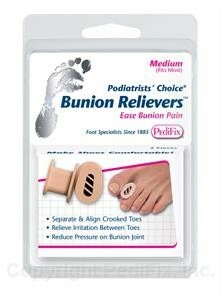 These soft, durable rubber spacers separate big and second toes to help maintain proper alignment, prevent friction and relieve pressure on sore bunions. Interchangeable for left or right foot. 2 per pack.